2014 marks the centenary of the First World War, otherwise known as the Great War, and Dorset is an area where its impact was felt stronger than most. Three years ago, an obelisk was constructed from Portland Stone as a reminder of the loss of life from one of the most active military group’s in the country, the Dorset Regiment. An estimated 350 young men from the county were killed in a single conflict, the infamous Battle of the Somme. But that was only a small percentage of the total military casualties suffered by the Dorset Regiment in the deadliest period of fighting of the 20th century. Figures show that 4500 of the 20000 men (it was mostly men) perished on the battlefield, while many others were left with injuries that severely impacted on their quality of life. 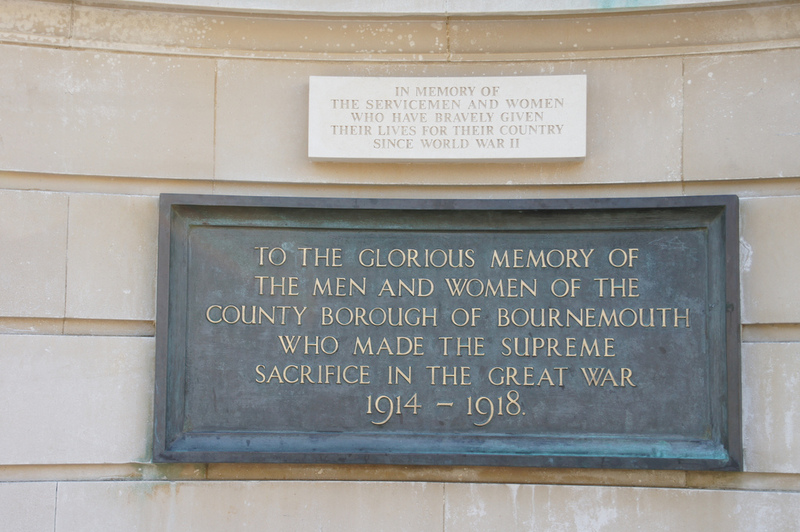 And so it is that a Bournemouth resident involved in plans to mark the centenary of the First World War says she hopes she can remind people how important the war was to the town, beyond the fighting. Postcards for Peace is a competition being run by Bournemouth Libraries which has been inspired by the legacy of the Great War to Bournemouth. The competition, which will run until July, involves entrants embroidering a postcard incorporating either the words Bournemouth, or the centenary dates (1914-2014), within the design. Jenny Young is the manager of Westbourne Library and a member of the group that has been planning how to celebrate the centenary of the war in Bournemouth. She said “The making of silk postcards was a cottage industry in France and Belgium during WW1 and so much attention to detail went into making these inexpensive items. “I therefore thought it would be a good idea if present day embroiders could try to match the skill of these Edwardian craftswomen. The first soldier from Bournemouth to be killed came only three weeks after the outbreak of war, on 24 August 1914. Young said “The lives each and every one of us who lives today is a direct consequence of the events of 100 years ago. “It is our duty to remember them and honour the fact that they gave their lives and their future. The competition will be presided over by a panel of four judges, and entries will be displayed on boards without details of the submitter. The winning design will be reproduced in flowers, to be planted in Bournemouth Gardens in 2015. As much fun as the competition will undoubtedly be for participants, the real aim is to preserve the legacy of the war and remind future generations the sacrifice that was made by young people, at the prime of their lives. Dorset still bares the battle scars, the contribution to the Great War never to be forgotten.